Netflix will be sending the inmates of Orange is the New Black back to their cells for at least three more seasons. Ahead of the June 17 premiere of season four of Orange is the New Black, Netflix has announced that it has renewed the award winning series for three additional seasons. In addition to the renewal, series creator Jenji Kohan has signed to continue as executive producer and showrunner for seasons five, six and seven. "Three more years! Not quite a political term, but still plenty of time to do some interesting things. In some cultures, 'May you lead an interesting life,' is a curse, but I don't live in those cultures," said Kohan. "Here's to keeping it interesting. Thanks Netflix! Both thanks and you're welcome Lionsgate! And kudos and gratitude to the stellar cast and crew and writers and producers and editors and musicians and mixers and shleppers… with whom I have the pride and honor of crafting this show. Three more years! Three more years!" No release dates for the future seasons were announced at this time, but as the new seasons traditionally debut in June (with the exception of season one premiering in July), it seems a safe bet that a similar release date will be used each year carrying us through season seven in 2019. Season four of Orange is the New Black will debut this year on Friday, June 17 with all episodes releasing at once. (Beverly Hills and Santa Monica, Calif.) – February 5, 2016 – Netflix and Lionsgate (NYSE: LGF) today announced that the original series Orange is the New Black, the comedic drama set in a women's prison from creator and executive producer Jenji Kohan, has been renewed for three additional seasons on Netflix. Season four of the series will premiere Friday, June 17 and additional seasons five, six and seven will premiere in future years. Seasons one through three are streaming on Netflix. Concurrently, it was announced that Kohan has committed to continue as Orange is the New Black's executive producer and showrunner for seasons five, six and seven. "Jenji and her team have produced a phenomenal and impactful series that is both funny and dramatic, outrageous and heartfelt. 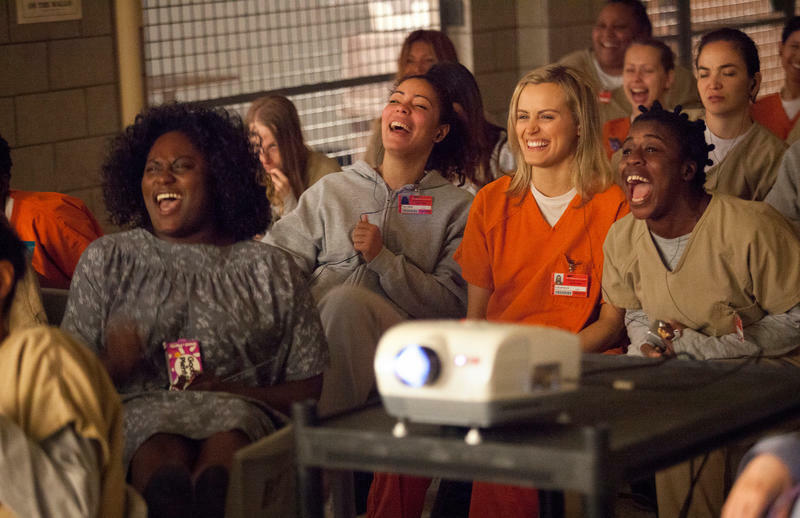 Audiences around the world have come to love the ladies and men of Orange is the New Black, and we are eager to see where three more seasons will take them," said Cindy Holland, Vice President of Original Content at Netflix. "Three more years! Not quite a political term, but still plenty of time to do some interesting things. In some cultures, 'May you lead an interesting life,' is a curse, but I don't live in those cultures," said series creator and executive producer Jenji Kohan. "Here's to keeping it interesting. Thanks Netflix! Both thanks and you're welcome Lionsgate! And kudos and gratitude to the stellar cast and crew and writers and producers and editors and musicians and mixers and shleppers… with whom I have the pride and honor of crafting this show. Three more years! Three more years!" "We're proud to continue our long-standing relationships with Netflix and the incredibly talented Jenji Kohan and delighted that one of the most acclaimed shows on television will continue on Netflix for three more seasons," said Lionsgate Television Group Chairman Kevin Beggs. "Jenji's brilliant creative vision and a truly amazing cast have catapulted Orange is the New Black to the forefront of the platinum age of television, and we're pleased that Orange fans around the world will be rewarded with another three seasons."